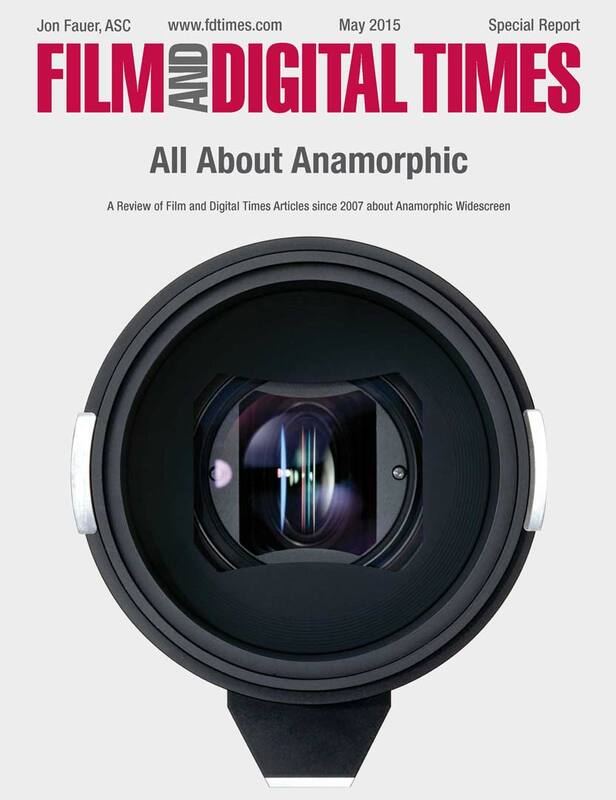 Here’s a 118-page review of anamorphic cinematography from Film and Digital Times articles since 2007. It all began with a visit to Vantage, makers of Hawk Lenses. Peter Martin and Wolfgang Baumler suggested a book on anamorphic, something about which they know quite a lot. This led to more articles over those 8 years, as anamorphic widescreen took off and has been embraced many cinematographers and manufacturers. Thank you Jon … Excellent ! Jon. What a treat. This question is a follow up on sensor coverage. I am still unsure of the effect anamorphic will have on red’s new vista vision sensor or any new sensor in the coming years. Since Red and full frame both cover MORE than the necessary height and width of anamorphic, will today’s lenses need to be cropped on the top and sides when utilized on existing and emerging large format WS sensors? How does image circle effect anamorphic? Will new lenses need to be created to better utilize the WS vista vision image area or are today’s anamorphic lenses still the best investment? You should check out the new PV 70mount — Looks like the way of the future for spherical!